Frank Key has been supplying the building trade for over 100 years. Built on firm family values, the company has established itself as a leading builders' merchants across the Midlands and North of the country. 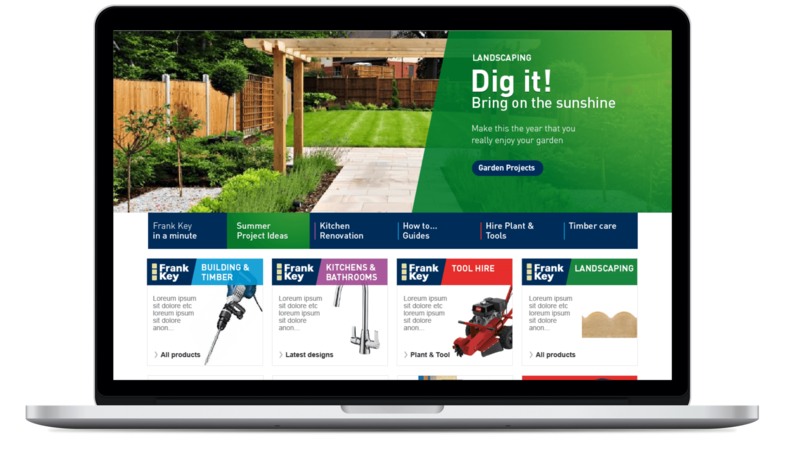 With such a rich heritage and loyal customer base, we knew our approach had to be sympathetic to the Frank Key brand, ensuring we gave the site a fresh look without compromising its image or brand values. Our solution was to design and build a contemporary website that retained Frank Key's iconic brand identity. With research telling us the majority of homeowners tend to do their online product research on mobile or tablet devices, a key priority was to build the site to be responsive and work across all platforms. Expanding the site's appeal without alienating trade customers was a major challenge, but one AtomicMedia was able to overcome by transforming the structure of the site and giving its content a complete overall. We introduced colour-coded product categories consistent with Frank Key's printed catalogues to make for a seamless retail journey for both trade and DIY customers. Aspirational lifestyle photography was introduced and so too were helpful 'how-to' videos, giving site visitors all the information they need before making their purchase. Tool Hire has become a major part of Frank Key's business so we developed a dedicated Hire section within the new site. Applying e-commerce best practice, the Hire section allows visitors to quickly search and find the tools they're looking for, before being able to check availability and reserve for collection using an online booking and voucher system. Prices and quantities are updated dynamically via an integration with Frank Key's stock management system - automating what had traditionally been a manual and time consuming process. With the foundations in place, AtomicMedia then set out to market the site and quickly establish it within local and national search rankings. Following extensive keyword research, we implemented a digital marketing strategy that combined SEO and PPC activities that would drive both organic and targeted traffic to the new site. Working closely with Frank Key's marketing team, we also established a seasonal marketing plan that would support their in-store offers and promotions. This made for a cohesive shopping experience for customers and ensured all marketing efforts were fully integrated in order to maximise impact. 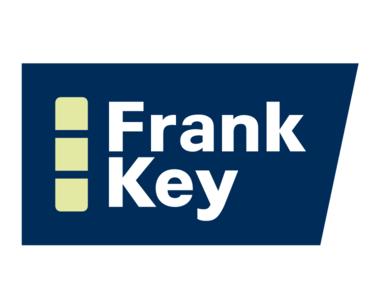 Through a combination of thoughtful user-interface design and strategic online marketing, the new site elevated Frank Key’s online presence and enabled the brand to compete on a national scale. It’s a huge step up from the former site, accurately conveying the business' construction expertise and homeowner appeal.